I’ve always been passionate about cars, especially collectible vehicles. I took a vocational course in car sales, where I learned the basics of automotive expertise. 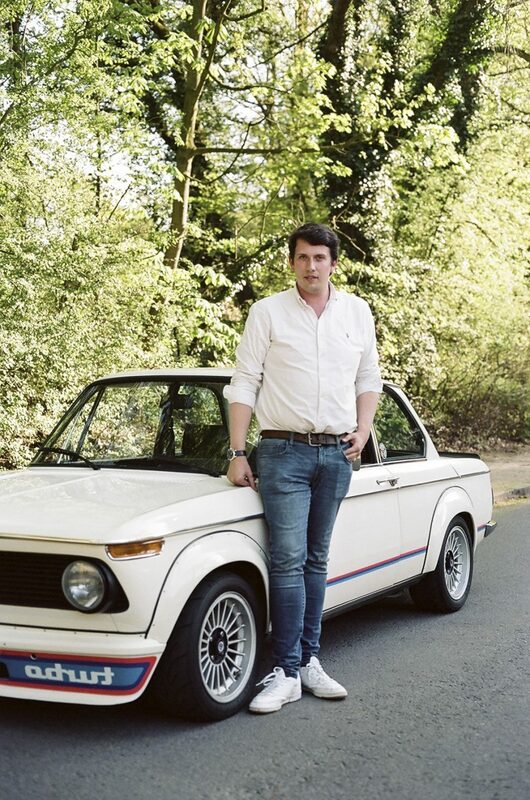 Since then, I’ve been working for a large concession in the heart of Brussels, selling prestigious vehicles for almost four years, since a few months I’ve create my own company, William’s Cars Collection, a new challenge in my life! I’m also part of the founding members of the Brussels Oldtimers, a group of young people passionate about antique cars, organising several gatherings a year under the Arcades du Cinquantenaire. I’ve always been shaped by my passion and choose to invest myself 100% in my projects. I work with passion, which is the most important thing in my opinion! If you find a job you enjoy, it won’t feel like work. My collection of cars: I have several, but none are alike, and each has a bit of my personality! I’m also proud of the knowledge I’ve gained in this world of old-timer cars. Belgians like to laugh at themselves. They’re always in a good mood, even in the toughest of situations, knowing how to climb the slope easily. Very attached to their country, and not afraid to show it! Jacky Ickx, one of the best car racers in the world from the golden age of motor racing. François Damiens, the perfect example of Belgian humour. Luc Donckerwolke, a great Belgian car designer who created the Lamborghini Gallardo and Murciélago, and consistently shows his talent through his designs. Little Paris in Waterloo, the best Belgian brasserie in my humble opinion – there you’ll find high-quality products and an impeccable service. I would make them visit our beautiful city of Brussels, crossing the Bois de la Cambre/Ter Kamerenbos and Cinquantenaire/Jubel parks – which holds one of the capital’s most beautiful monuments – and visiting some parts of the city such as Châtelain/Kasteleinsplein or Sablon/Zavel where there’s always something to discover. Brussels Ketjep’s 16-20, a real delight and great match to anything. I also have a weakness for the Dallas with its powerful taste – to consume with moderation! It was during the release of the Dallas sauce. Being a big fan of Dikkenek – and owning one of the star vehicles of the movie, J.C.’s BMW 2002 Turbo – I couldn’t miss out on trying this sauce. I later got to know Sylvain, the man behind brand, who introduced me to the rest of the range and I quickly became a fan! Belgians don’t take themselves too seriously and so aren’t afraid of being original – maybe that’s why Belgians do it better.